See the URC Calendar for the schedule of the events and for the contact person associated with each event in order to gain more information. All events are free and open to the public. Please click on an event below to read the event description. The All Colleges Undergraduate Research Symposium showcases undergraduate student research from all disciplines. Students present their faculty-mentored projects in either of two interactive poster sessions, or in one of the three oral presentations sessions. University-wide participants represent a variety of disciplines such as Psychology, Communication, Nursing, International Affairs, Kinesiology, Women's Studies, English, Sociology, and Political Science. The Ann Manchester Kelley Nursing Inquiry Day is a program of scholarly presentations by undergraduate Honors students and Graduate Program in Nursing students. This program has been offered since 1990 to the nursing community, the student population, and consumers of health care. The dissemination of inquiry findings instills the commitment and responsibility of nurses to "go public" with their results. It further encourages dialogue, debate, and evaluation of nursing practice issues. In the era of evidence-based practice, opportunities to communicate nursing inquiry must be provided in order to promote inquiry awareness and utilization. 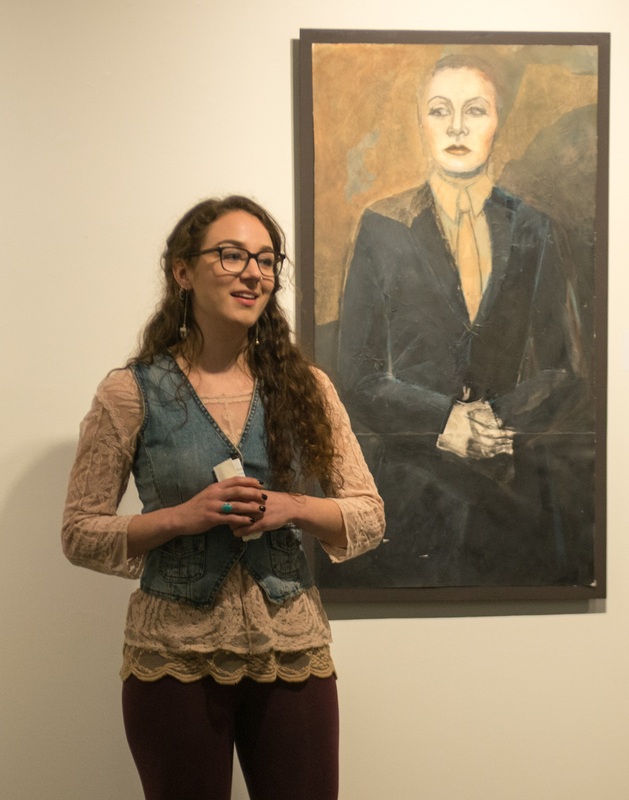 This annual show celebrates the achievements of graduating art students from the UNH Department of Art and Art History. The Chemistry Department Poster Exhibition is the result of students' yearlong senior thesis research under the direction of their advisers in areas such as organic, inorganic, physical or analytical chemistry. Jack and Marianna Grimes and family, all UNH graduates, endowed the funds for this celebration of excellence in undergraduate research. The oral presentation competition includes finalists who have been selected by CHHS faculty after rigorous scientific review of written proposals. Student presentations at the Annual COLSA URC are based on research conducted in any of the college's departments. Research ranges from field studies to molecular biology to genomics studies. A number of research projects are collaborative efforts between UNH and work carried out in foreign countries. The History Department hosts several panels of undergraduate history majors who present research projects from their academic classes, research seminars, independent research projects, and Honors theses. The History Undergraduate Research Conference provides History students with the opportunity to share their work with fellow students, professors, and families. The Honors English Undergraduate Research Conference provides Honors-in-English as well as English, Creative Writing, Linguistics, and Journalism students the opportunity to share their work with fellow students, professors, and their families and friends. To complete Honors-in-English, students must conduct a semester-long research project, culminating in a 30-40 page senior thesis. Students also present capstone and other major work and research. The presentations range in their topics from poetry, creative nonfiction, fiction, journalism, media and various texts, to literature from several different centuries. The ISE symposium welcomes and encourages scientific presentations from undergraduate students in all colleges and departments. The event features undergraduate research that contributes to or benefits from an interdisciplinary science and engineering perspective. Students have an opportunity to interact with peers and gain professional experience presenting research. Attendees learn more about research and educational opportunities in science and engineering at UNH. The program will include a poster session, remarks from university leaders, refreshments and an awards ceremony. The Department of Languages, Literatures, and Cultures hosts an undergraduate research conference comprised of oral presentations, poster presentations, a foreign language award ceremony, and a reception. This event exposes the inner creative process of artists working in various disciplines. Presenters will describe the process, research, and other creative aspects undertaken to bring an artistic creation from initial inspiration to the stage or gallery. This may include a performance or excerpts from their work to illustrate their creative scholarship. Students may also present different scholarship in humanistic areas with the fine arts (for instance, art history, music history, or music theory) or other applications of their creative work. Finally, there is an opportunity for students to perfrom and discuss a collaborative piece made as a result of interdisciplinary creativity within the artistic disciplines and/or through collaborative exchanges with students from other areas of humanities and sciences. Through original research and valuable guidance from mentors, this event helps students gain deeper academic knowledge as well as professional experience. This URC event includes poster presentations, oral presentations, and feedback from University and business leaders. This competition takes students out of the classroom and into the real world. 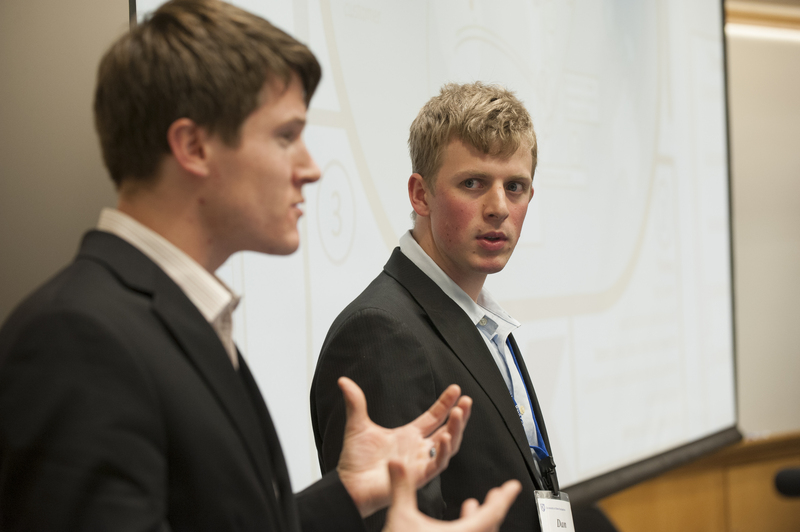 Students are required to research and prepare strategies for commercializing new products and services, which they present to a panel of industry judges. Prizes are awarded for the most feasible and fundable approaches for starting, acquiring, or expanding a business venture. FIRE is an integrated, team-based, and game-like experience, guided by alumni and peer mentors, for first-year students to engage in developing habits and strategies for success. FIRE charges first-year students to hit the ground running by assisting them in developing multidisciplinary solutions to real-world problems by employing emerging technologies. Through a series of challenges, students develop business plans that are presented at the year-end finale, the Paul College FIRE URC. This event features poster and oral presentations on students' business plans and concludes with a "Grand Challenge Round." The Philosophy URC is a mosaic of concise and meaningful student presentations, including philosophical topics such as applied ethics, language theory, and social justice. Standard presentations last fifteen minutes and are followed by a brief question-and-answer period. All are welcome and sincerely encouraged to attend. The George M. Haslerud URC, named for the late Professor Emeritus of Psychology, recognizes and celebrates undergraduate research conducted by psychology students. 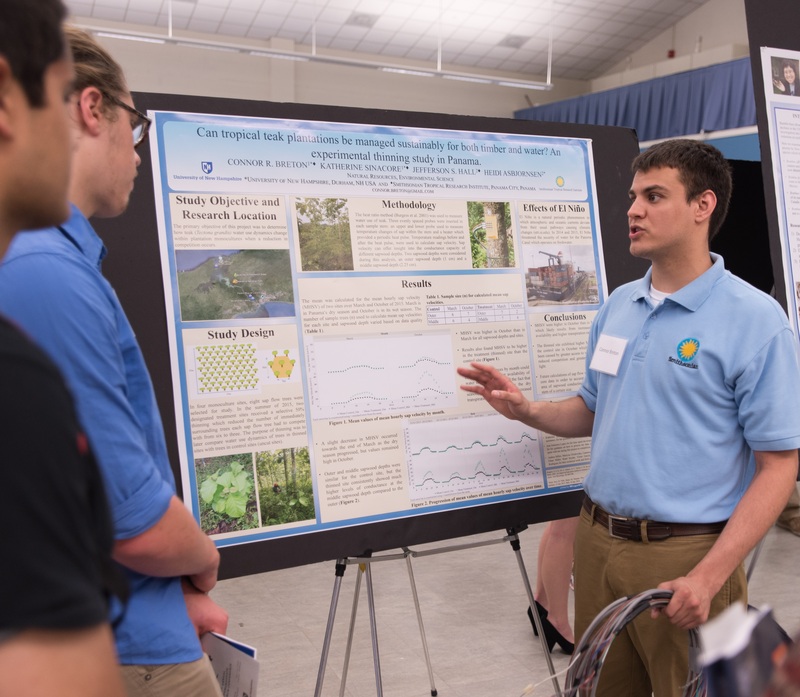 Students present their original research projects before an audience of UNH faculty, staff, graduate students, fellow undergraduates, and friends and family. The UNH Student Composers' Concert is an annual event that features the music of undergraduate and graduate students of the Music Department. The music is newly composed and almost exclusively performed by fellow music students. Thompson School of Applied Science students translate academic instruction into practical presentations at this year’s URC. Join selected students who will showcase their expertise in such diverse areas as culinary arts, forest technology, horticultural technology and integrated agriculture management. The UNH Manchester Communication Arts Program has a production track in which students complete introductory and advanced course work in video production, scriptwriting, audio production, film aesthetics, and documentary production. This event showcases student films and scripts that illustrate student work at different stages in the curriculum. The UNH Manchester Computing Technology program presents its annual Poster Project Presentation Day. This event is the culmination of the an academic year effort where students formally present their projects to peers, faculty members, representatives and technical advisers of sponsoring companies, and special guests. UNH Manchester Technology Day is the culmination of an academic year effort where students formally present their projects to peers, faculty members, representatives and technical advisers of sponsoring companies, and special guests. 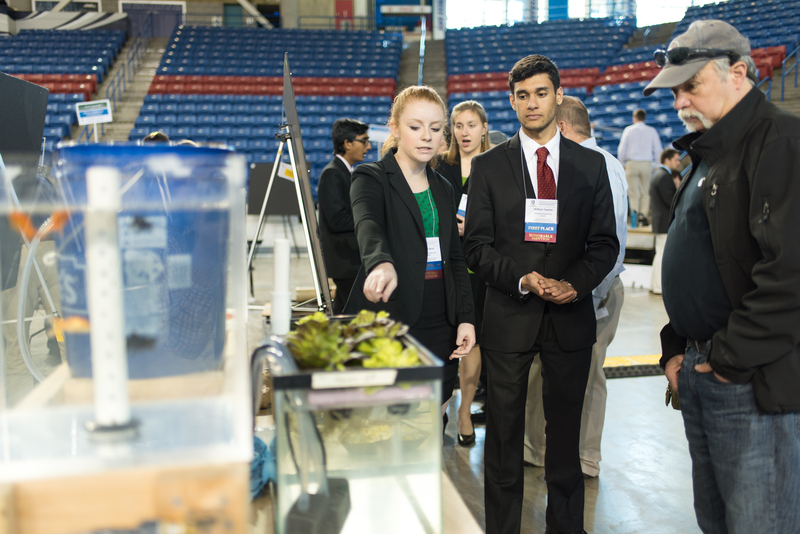 The event showcases Engineering Technology Senior Projects. 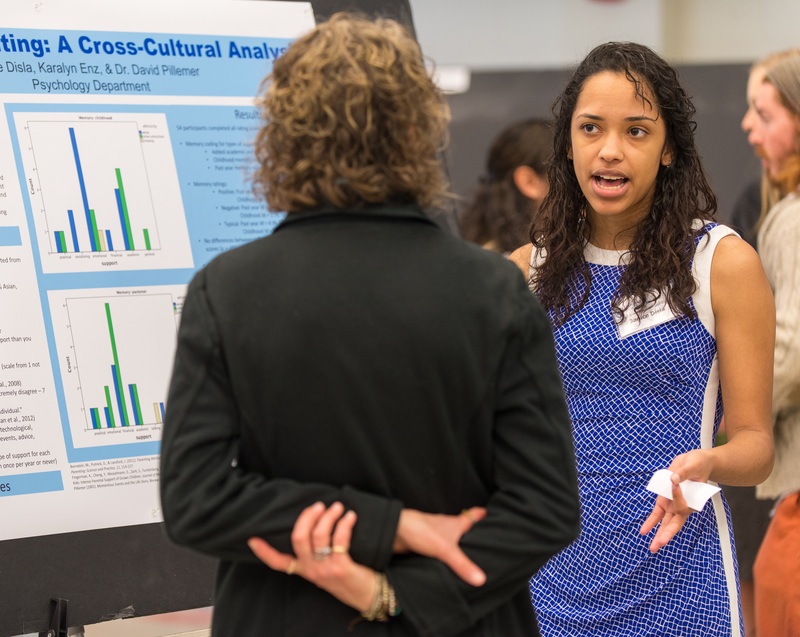 UNH Manchester takes pride in its participation in the UNH Undergraduate Research Conference. 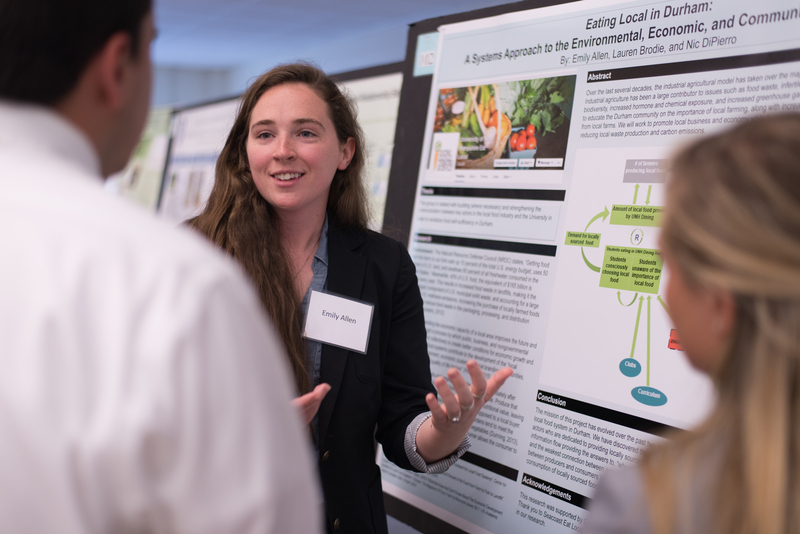 At the oral and poster presentation events, students share their independent research, internship projects, service learning activities, and civic engagement work through scholarly lectures, multimedia projects, and poster presentations. The poster presentation event includes Computing Technology Poster Presentations. UNH Manchester’s Student Leadership Academy is designed to give students professional and networking opportunities to become a leader in their community and career. From assuming a student leader role on campus to fostering social change off campus, students will broaden interpersonal and leadership skills through engagement, collaboration and community service.